A new study suggests that the effectiveness of inactivated influenza vaccine wanes during the course of a single season. This study’s results may lead to the Centers for Disease Control and Prevention (CDC)’s reconsideration of obtaining a flu shot before November 1st each year. The study was published in Clinical Infectious Diseases, and compared persons vaccinated 14 to 41 days prior to being tested for influenza to persons vaccinated 42 to 69 days prior to being tested. The persons vaccinated 42 to 69 days before testing had 1.32 times the odds of testing positive for any influenza. These researchers from Kaiser Permanente found the odds ratio (OR) increased in a linear fashion by approximately 16% for each additional 28 days since vaccination. This means the OR was 2.06 for persons vaccinated 154 or more days prior to being tested. 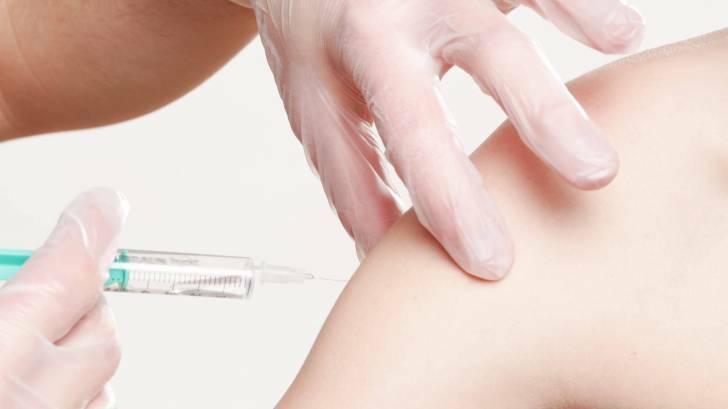 Most of the vaccine waning was associated with influenza A protection since that virus strain represented 80 percent of the confirmed cases in this study. Recently, there have been other studies that have also shown influenza vaccine effectiveness waning. Generally, the influenza virus engulfs the northern hemisphere when it’s snowing each year. However, in 75 percent of recent influenza seasons, peak flu activity had not occurred until January or later, regardless of where you live, says the CDC. Moreover, to make this flu shot timing decision even more confusing, there could be more than 1 influenza outbreak in a single year. Regardless of these issues, the CDC’s Advisory Committee on Immunization Practices (ACIP) says the flu shot should be administered no later than the end of October. Which means, most people can easily adhere to this CDC suggestion during their next visit to a pharmacy. To find flu shot pricing information, the CDC Vaccine List provides the private sector prices for general information. Is Labor Day Too Early for Flu Shots?